I love this great deshedding tool from GrowPetz. We have four dogs at our house (2 pugs and 2 Boston Terriers). So it’s way to expensive to take them to the pet groomer all the time, so we look for great quality products to do the grooming at home. 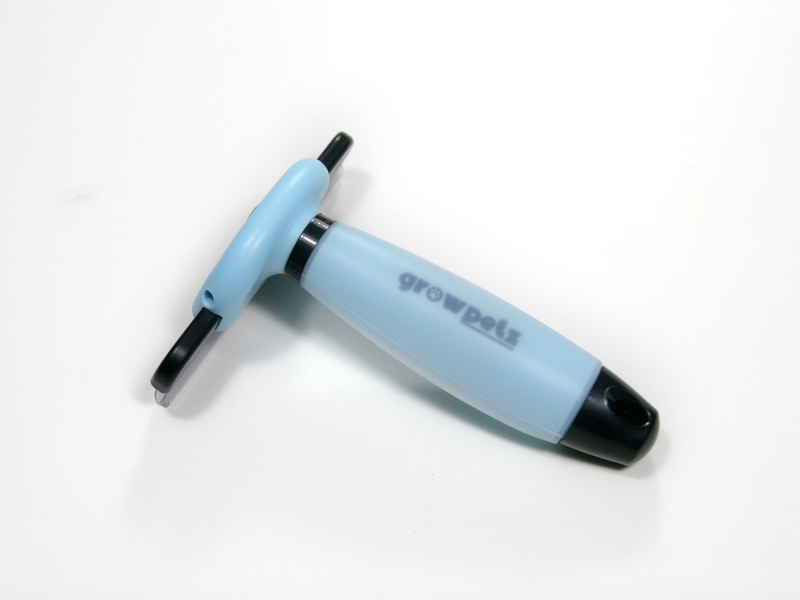 GrowPetz has this great deshedding tool that we use all the time on our four dogs! It comes with a great handle that has a rubber handle that feels great on your hand so it’s super comfortable when you are using it and your hand doesn’t get tired (this is really helpful when you are using it on four dogs). It comes with a shield to place over the comb when you are not using it or for storage. The combs are made of stainless steel and work really well at getting all the excess and dead hair out of their coats. Our pugs are always shedding (especially in the summer months) and using this tool greatly reduces the hair all over the house! You can also replace the comb if needed, so I love that even if the comb becomes dull or is to worn to be used you can pop it out and pop an new one in. It comes with three combs (a small, medium, and large size). A must have for dog owners.